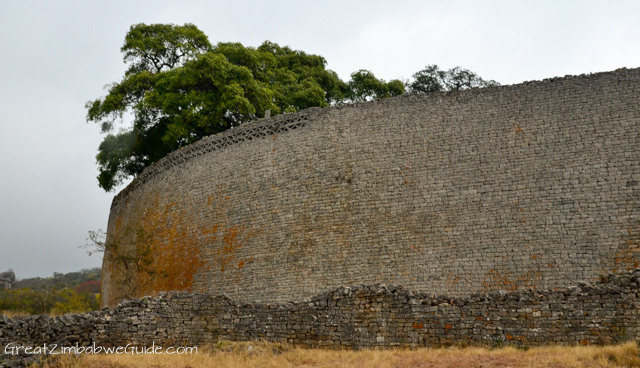 Great Zimbabwe Monument covers an area of over 7 square kilometres (nearly 3 square miles) and comprises of a number of historic archaeological sites. If you’re short on time and are a fast walker, you could see the whole site in couple of hours, but it’s best to dedicate about 4 hours to walk around, have some food and soak in the mysterious atmosphere. 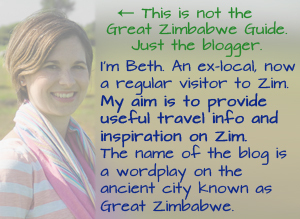 For information on how to get to Great Zimbabwe, see the article Great Zimbabwe travel guide. The entrance fee is $5 for Zimbabwe residents, $15 for other visitors (June 2016; also see the NMMZ site for current prices). When you pay your entrance fee at the gate, you can hire a National Parks guide to show you around the site, but when I did this the guide wasn’t very personable and didn’t give me any extra information that wasn’t in the booklet. 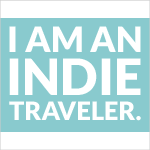 Perhaps this is due to the low tourist numbers here … perhaps that particular guide was just having a bad day. 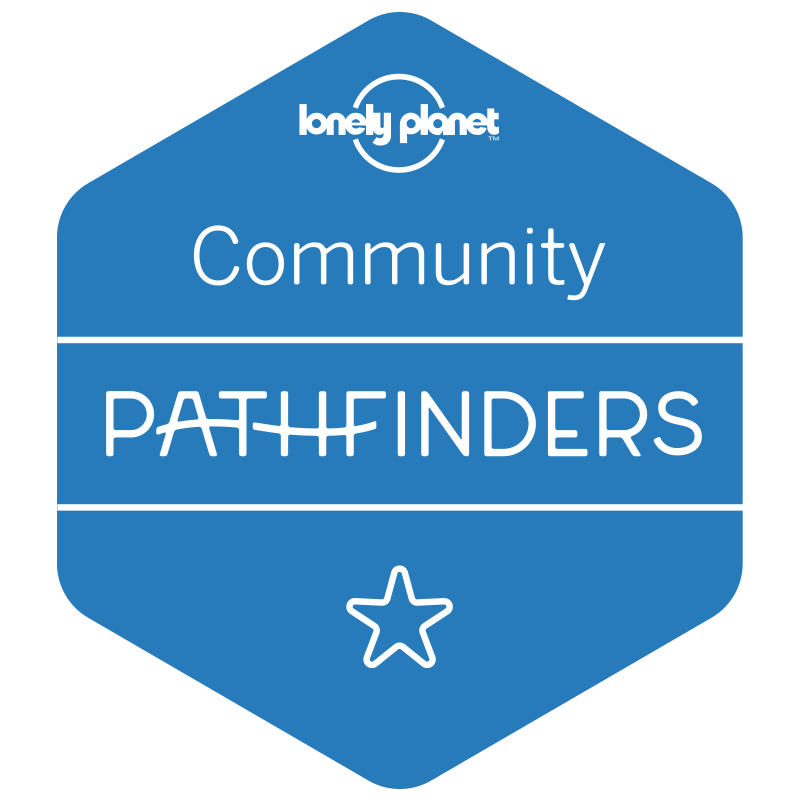 It’s easy to follow the signs and walk around the site without a guide, as long as you’re happy reading the information available. There are information booklets available at the curio shop and directional signs around the site. Of course, if you’re coming as part of an organised tour, the guide from your tour company will likely reveal more fascinating details about the area than what’s displayed on the museum walls. Here’s a map of the walking route to The Great Enclosure which I’ll describe below. You can click on the map and use the buttons to zoom in. See the map in full screen. There’s a large and shady picnic area at the entrance, so bring your own refreshments. 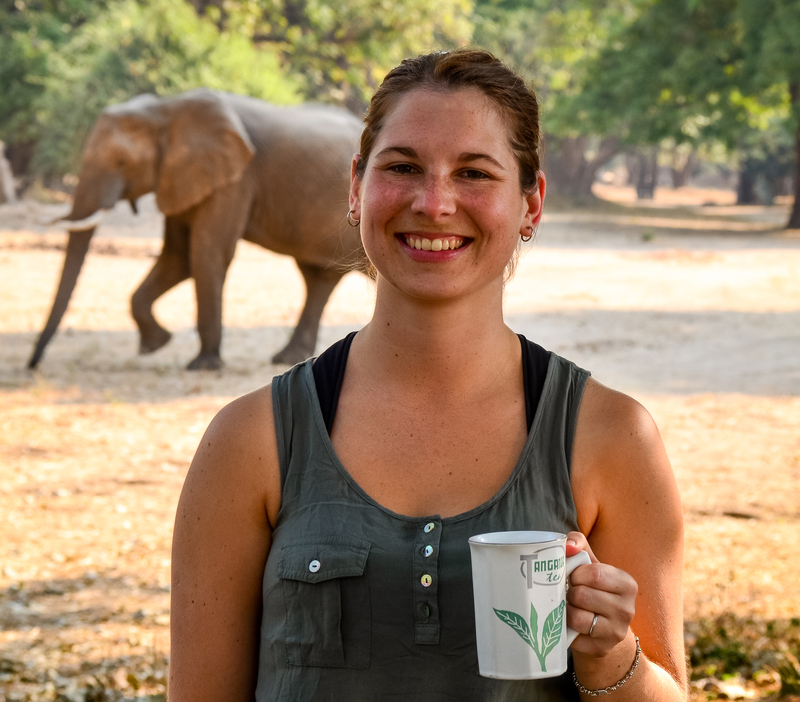 There is also a modest restaurant on-site where you can try a traditional sadza, but if you don’t have your own supplies, it’s best to get a packed lunch made by your hotel, or drive to one of the hotels nearby. 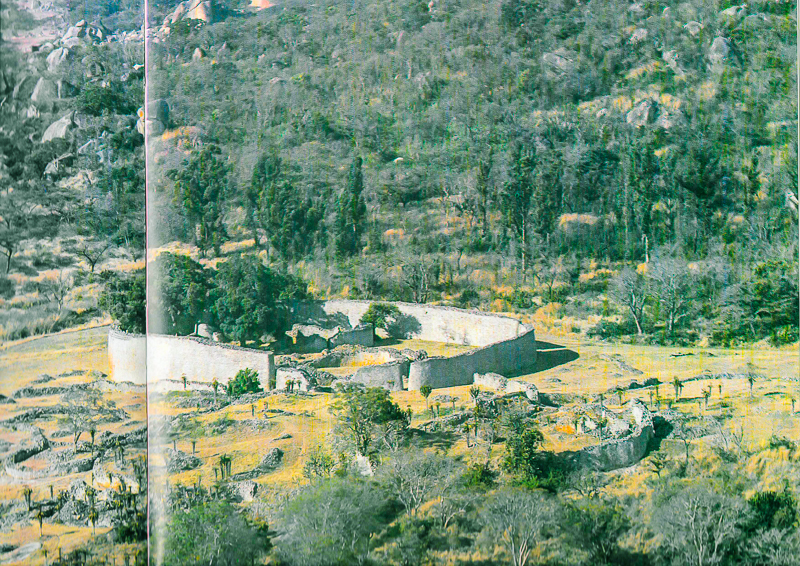 Great Zimbabwe Hotel is within walking distance, about 1 km from the ruins, and serves food all day. There are toilets facilities at the main gate and museum, but not inside the ruins themselves. 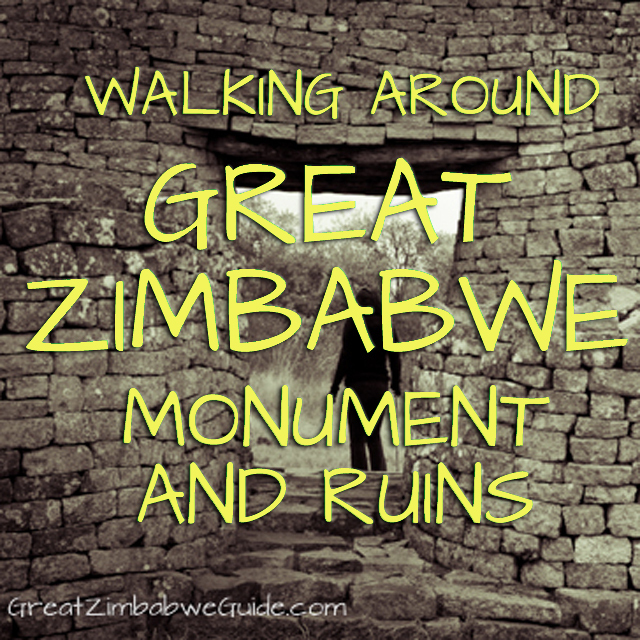 There’s no supermarket or cash machine at Great Zimbabwe Monument and Ruins. ATMs can be found in the town of Masvingo 25 km away. 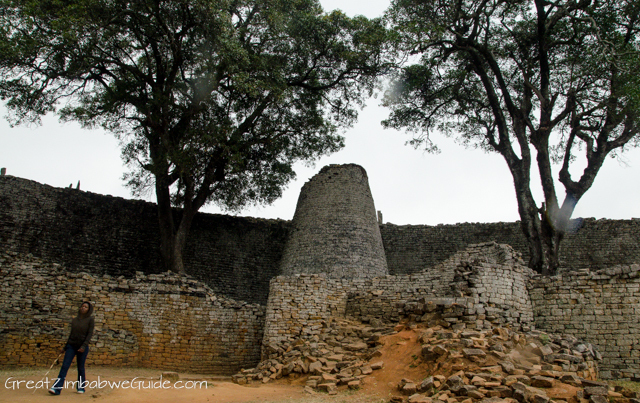 TIP: It can get hot in Great Zimbabwe so make sure you have a hat, water and sunscreen, and perhaps an umbrella to use as shade. If you can, avoid walking around between 11 am and 2 pm. 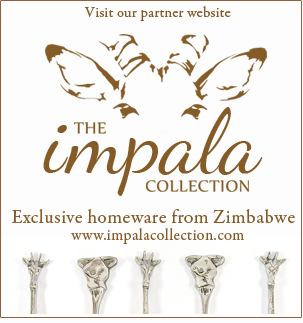 This is where you can see the soapstone bird carvings that originally stood in the Hill Complex, and are now a symbol of Zimbabwe. 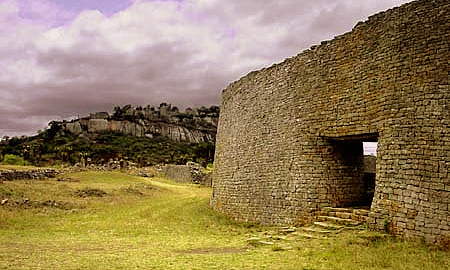 Eight birds are known to have existed in Great Zimbabwe, but most of them were removed from the country by treasure hunters and traders. Six and a half of the birds have been returned and are back in the museum. Visitors are not allowed to take photos in the museum. There is some pro-Zanu-PF propaganda in the museum too which is interesting, but rather detracts from the much earlier history that is so key to the ruins. The museum itself is small and dimly-lit, and I hope that in the future it is expanded to show off Great Zimbabwe’s history and wonders more comprehensively. After visiting the museum, head north, go past the curio shop and then up to the Hill Complex. 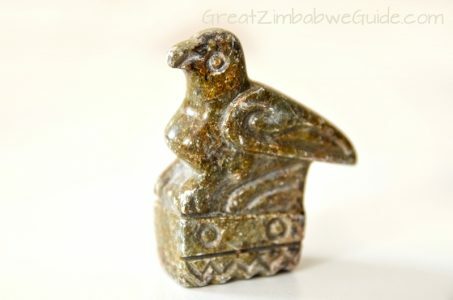 A modern reproduction of one of the Zimbabwe bird carvings. By Fanny Schertzer, Wikimedia Commons. The Hill Complex is a series of enclosures built on a granite hill almost 300 feet in height. There are two routes to the top: the ancient ascent, which is steeper but more architecturally beautiful; and the modern ascent which is easier, for visitors unused to inclined hikes. Why not climb up the modern path to the Acropolis, and down the ancient path, to see both? The Hill Ruins were continuously inhabited from the 11th to 15th centuries and it’s easy to see why they were the stately residence, allowing the upper class a sweeping view over the valley. The walls curve gently with the contours of the rock-hill, making you marvel at the feats of drystone construction. The Western or Royal Enclosure is generally considered the place where the chief lived, although in later years he would move to the Great Enclosure. The view from The Hill Complex, overlooking The Great Enclosure. Source: Journey Through Zimbabwe, 1990. Follow the path to the Covered Passage, the Southern Enclosures and the Recess Enclosures, and then on to the East Enclosure. This is where six posts topped with varying soapstone bird carvings were found by early explorers. These birds were removed by 19th Century treasure hunters and were scattered as far afield as Cape Town and Germany, but they are slowly being brought back to the museum at Great Zimbabwe. They are believed to represent an African Fish Eagle or Bateleur Eagle, and their image has become collectively known simply as as the Zimbabwe Bird, the emblem on the Zimbabwe flag. The carvings and other relics that were found here indicate that the spirit medium or traditional healer used this enclosure. The Balcony Platform above is a rocky ledge where the chief or others may have watched the traditional rituals. Walk from the Eastern Enclosure to the Gold Furnace Enclosure where gold was smelted and used for trading. 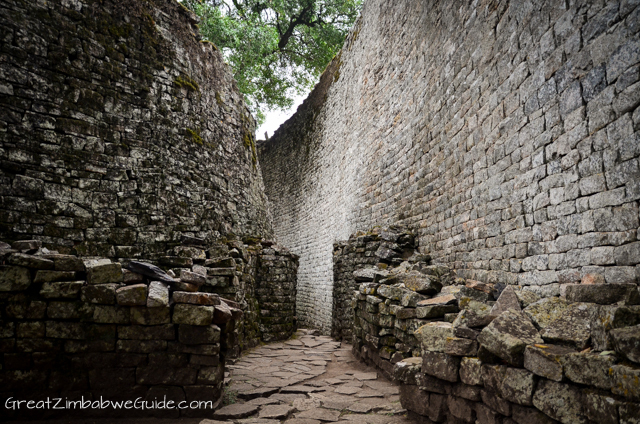 Gold jewellery and other valuable artifacts were found at Great Zimbabwe and it’s fascinating to think about the systems of trade and wealth that occurred centuries ago. The next stop here is the Ritual Cave or ledge where you can imagine the leader surveying his people in the valley below, perhaps some of them transporting the thousands of granite stones that were used to create the structures. Scattered in the valley are a series of drystone walls which are thought to have sectioned households or family groupings. 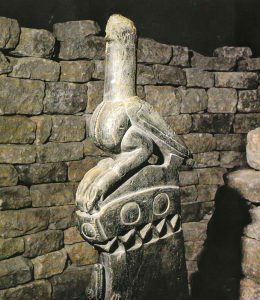 One of the eight soapstone birds – the most intricately carved – was found here, so perhaps this is where the artisans and craftsmen lived. One of the original soapstone birds. Source: Journey Through Zimbabwe, 1990. Remnants of houses made of granitic sand and clay have been found here, and huts were built within the stone walls. It is thought that walls denote each family’s area, generally made of a kitchen, two living huts and a court. 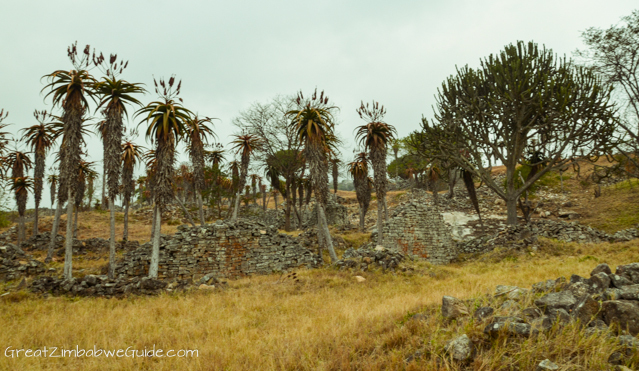 There are also many aloes, which were used for medicinal purposes. The Great Enclosure is along the path past the museum, beneath the hill to the south. It dates from the 14th Century. It was built after the Hill Complex and is bigger and the best preserved of the ruins. The outer wall, comprised of cut granite blocks, is shaped in an ellipsis. It’s 278 meters long and up to 9.5 meters high, containing more than 15 000 tonnes of granite bricks. Chevron patterns on the elliptical wall of The Great Enclosure. The skill of the stonemasons who laid the stones is impressive because of the sheer size of the walls but also because of the detail – chevron and herringbone patterns run across the top of the walls, said to represent a snake of fertility and the dynastic line. North-East Entrance to The Great Enclosure. North Entrance to The Great Enclosure. In this walking route, I suggest you enter The Great Enclosure at the North Entrance, which is the one furthest away from the Museum (see the map at the top of the page). This will take you to the Parallel Passage which is an atmospheric walkway where you’ll be almost entirely surrounded by the enormous 11-metre high drystone walls. As you walk along this corridor with the trees swaying high above your head, it’s easy to wonder about all the people who may have walked here hundreds of years ago. The Parallel Passage in The Great Enclosure. At the southern section of the Great Enclosure is the famous Conical Tower: a 10-metre column of solid stone bricks. The symbolism and purpose of this structure has been a topic of conversation around many evening firesides. Some say it is a symbol of wealth and power, some say it represents a granary. The Conical Tower, standing tall between two large trees. This isn’t part of the ancient ruins, but is a reconstructed modern-day traditional village nearby. It is in walking distance from the Great Enclosure or curio shop. You can consult a nyanga or traditional healer, and watch traditional dancing. 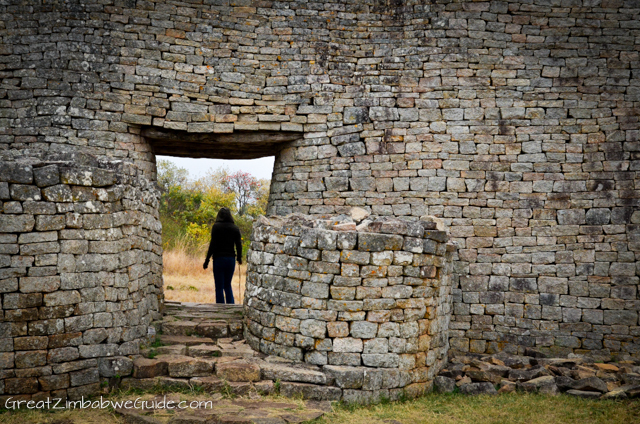 How much is 2018 entrance fee per adult and for kids for Great Zimbabwe ruins.. . I want to visit with my team..